let me know if you prefer more detailed / bigger images and I will happily oblige. February kicked off with a delightful batch of goodies, including a package from Nadya in Cape Town. We started exchanging late last year and I really enjoyed her first letter. This time round she wrote in this cute panda card from Paperchase. She also sent me some lovely goodies including a Typo heart stamp. I love all the special details in this package. I received a Chinese New Year card from my friend Win Naa in Malaysia. We often exchange letters and packages and love being a part of each other's lives. The very kind Miss Milly sent me a small package of her handmade cards and a little notebook - so sweet. Mieke from Stellenbosch sent me the most amazing pastel coloured package and letter. I just love every little detail she lovingly added. 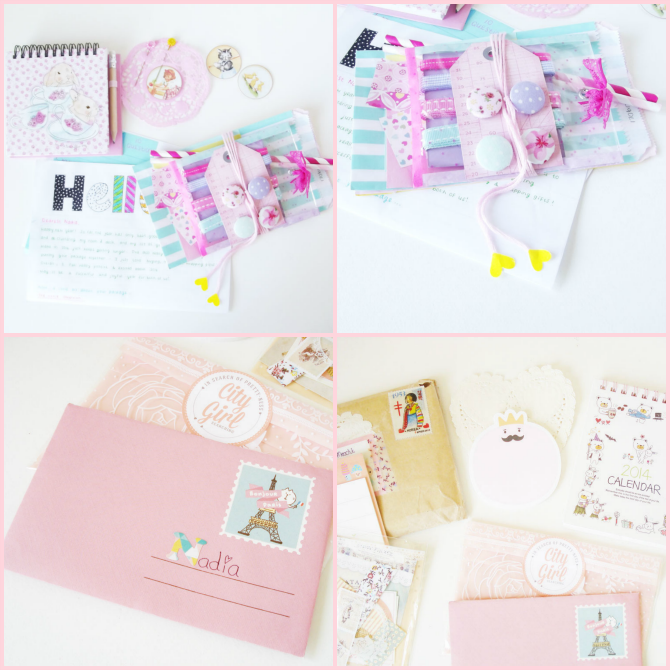 I sent Roxy from Citygirl Searching (South Korea) a small package last year and her reply was beautiful and full of really lovely and useful items including a 2014 calendar. Truly cute and lovely! I dedicated the last four pictures to a package from Eike (Germany) which was HUGE. It arrived in a large box and I was blown away by the amount of interesting things she sent which included heaps and heaps of stationery, lip balm, tea, sweets (already enjoyed) and crafty bits and pieces. I hope you enjoyed this quick round-up of the snail mail I received in February. Wow, these are all incredible. I'd love to see bigger images, everything looks so interesting. I just love your snailmail blog posts. All of your penpals sounds AMAZING, especially our local girl Roxy :) It's lovely to have such special people and friends that both enjoy stationery just like you! 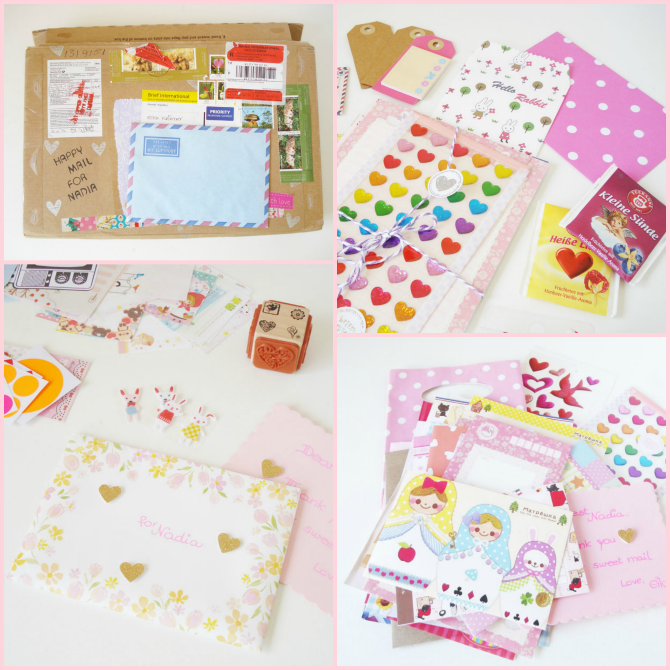 I just love snail mail! My one sister who loves arts and crafts and lives in Cape Town, has started "postc(art)" where one makes up quickly an arty crafty postcard, send to friends+family and requests one in return. This really made my creative juices start flowing! I have also start sending some and can't wait to receive some in return!